Hello everyone. My name is John Madden. This is my second (or possibly 3rd, I can’t remember) attempt at starting this blog. You see, I have a website that I’ve been working on since 2007 called You Go Pro Baseball. 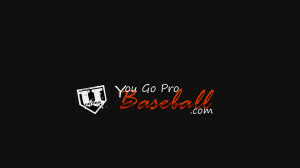 So I’m intending for this blog U Go Pro Baseball to function as the sister site to YouGoProBaseball.com. My idea for this blog is to be less formal and write in a blog like style, chronologically listing articles/posts instead of making what they call “authority pages” like I do on the other site. Here’s an example of what an authority page looks like Baseball Hitting Drills. If you want to know who I am before indulging further into this blog, please take a second to look at the About Me page. In short, I am a former Division 1 All American and Professional Baseball Pitcher who now has a passion on helping others in the game of baseball. Please feel free to comment and speak freely. I love arguing mechanics as well as busting peoples balls, so as long as you can take it, feel free to give it out. Also, please subscribe to my emails. This way we can keep in touch and I can shoot you messages straight to your pocket on your smart phone.